Four Conn. Health I-Team journalism campers spent the week planning, scripting, shooting and producing a video story on the clean-up work going on after the May 15 tornado that devasted Sleeping Giant State Park in Hamden and damaged parts of the surrounding neighborhood and Quinnipiac University. 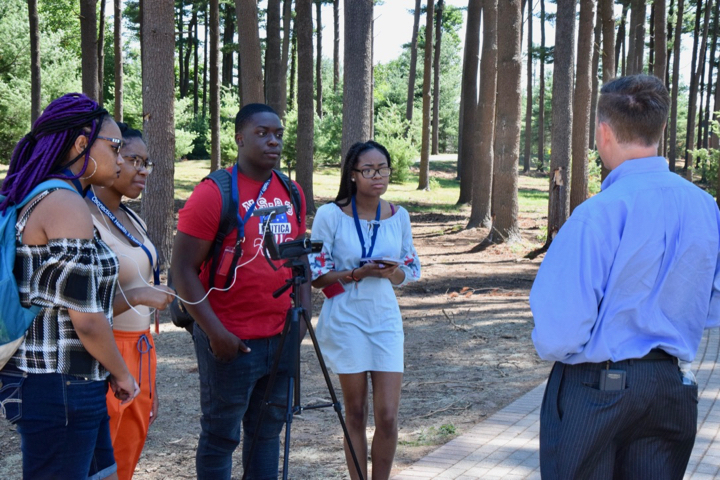 The student journalists, Raven Joseph of the Cooperative High School, New Haven; Kiersten Harris, Amadi Mitchell and Casmir Ebubedike, all of the Achievement First Amistad High School in New Haven, spent the week interviewing officials, knocking on neighbors’ doors and shooting video. With help from Jodie Mozdzer Gil, an assistant professor of journalism at Southern Connecticut State University, and Charlene Torres, a senior at Quinnipiac University, the students produced the first C-HIT News segment. This video was shot in July and the work on the park continues. 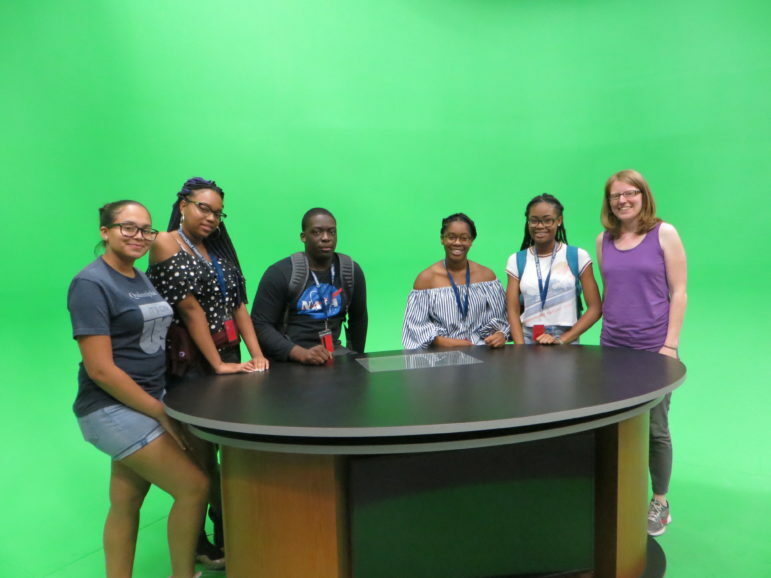 Our video news team: Charlene Torres, Kiersten Harris, Casmir Ebubedike, Raven Joseph, Amadi Mitchell, and Jodi Mozdzer Gil.